What is 'gold spot price'? The gold spot price is the current price at any given moment used to determine the rate for a single troy ounce of gold. The gold spot price is dictated by market speculators, world events, currency values and an array of additional factors. 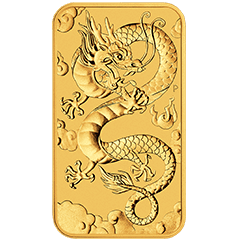 Gold spot price serves as the basis for bullion dealers and gold traders to pinpoint the buying and selling price for a specific gold bar or gold coin. Such prices can be dynamic, changing every few seconds when the markets are open. When you see the price of gold quoted on live gold charts and spot price websites, it is most commonly quoted per troy ounce in American dollars (USD). 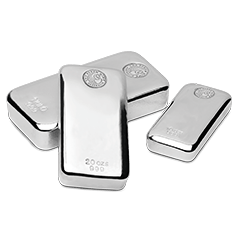 However, it is also possible to obtain a gold price quote per kilo or gram. What does the “spot price” mean? Think of the spot price as the price at which gold can be exchanged at the current moment as opposed to yesterday, tomorrow or even a few seconds from now. How are gold spot prices determined? Gold is a commodity traded across the globe. 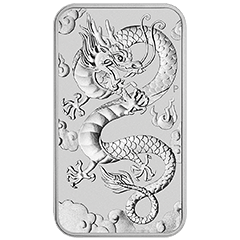 This precious metal is traded on an array of exchanges including the London, New York, Chicago, Hong Kong and Zurich exchanges. COMEX, a component of the Chicago CME Group, is the primary exchange for determining the gold spot price. This price is calculated with data stemming from the front month futures contract. If this contract has minimal volume or no volume, the subsequent delivery month with the greatest volume will be relied upon. The bid price is the maximum offer to purchase gold at the current moment in time. Ask prices are the minimum offer required to sell at the current time. 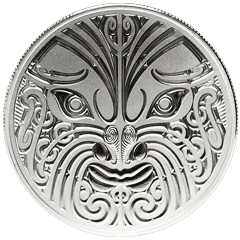 New Zealand gold merchants typically use the current Ask price when setting selling rates. Those looking to sell gold in New Zealand are provided with the Bid price (less any dealer’s margins which will depend on the product, quality and quantity). The primary difference between these prices is referred to the bid-ask spread. The tighter this spread is, the more liquidity buyers and sellers enjoy. Why can’t I buy gold at the spot price or below? The gold spot price does not consider the account dealer, markups by the manufacturer/mint or distributor markups. Most of the gold sold around the world comes from a small group of very large mints. Such products are priced at the gold spot price with a markup added on so the maker or mint can make a profit. However, NZ gold merchants must also turn a profit to keep the doors open. The dealer marks up the product higher than the initial purchase price to cover overhead costs and allow for a profit margin. Most New Zealand gold dealers and refineries purchase gold below the gold spot price and sell above the gold spot price when a buyer comes around in order to make a small profit on every transaction. Gold is traded in United States dollars, commonly referred to with the acronym of USD. All gold is quoted in this currency. However, the gold price in USD is ultimately converted to the currency of the nation in which it is bought/sold. 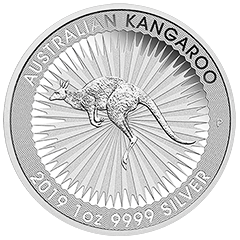 In our case we price gold spot prices in New Zealand Dollars (NZD) as this is more helpful given exchange rates have a big impact on buying and selling rates. The price for a single ounce of gold is the same regardless of your position on the globe. This way, people cannot purchase gold in one location and sell it in another for profit simply based on geographical price differences. Gold prices are transparent, liquid and gold bullion is globally tradeable. What currency is the gold price quoted in? 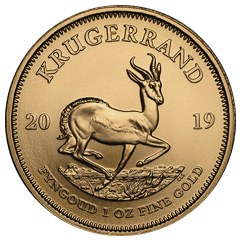 The world gold spot price is converted to local currencies to provide market participants the price of a single troy ounce of .999 fine gold at the local currency's rate. See our charts above for the precious metals’ prices quoted in NZD. 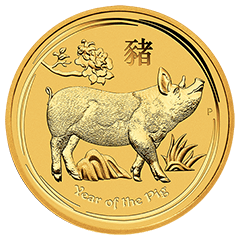 The price of gold seems to be volatile – what affects and causes change in gold prices? Gold is a commodity with dynamic price discovery. Take a look at the price of gold throughout the week or even throughout the day and you will notice changes, sometimes significant, in short periods of time. The price of gold can move rapidly when there are periods of high volatility. Considered over the long-term, Gold has minimal price movement when there is low volatility. All sorts of different factors can alter the price of gold. Such issues include supply and demand, inflation risks, asset allocations, geopolitical issues and currency fluctuations. Is gold a risky investment? In our opinion, no. Gold is a comparably conservative investment. Plenty of investors consider gold to be a safe haven of sorts as it typically maintains its value or increases in value during times of economic and political uncertainty. Gold tends to retain its value as it has considerable utility. Gold is used for a number of industrial and commercial products. Every investment has risks and you should make your own decisions based on your risk profile and reasons for investing in gold. Please click here to read our Terms & Conditions of trade. Why does gold trade effectively 24 hours a day? Gold trades around the clock as people are willing to buy and sell at just about every hour of the day and night. Furthermore, precious metals refineries, large gold mints, gold traders and bullion distributors, are located across the globe in different time zones. The freedom to trade gold 24/7 makes the market for this precious metal that much more liquid. Gold prices change every couple of seconds when the market is open. 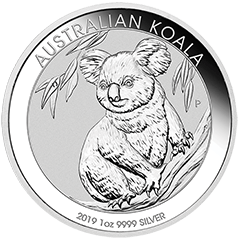 The price of this precious metal fluctuates across the entirety of the day in accordance with supply and demand, current events and additional factors. Keep an eye on the NZD/USD exchange rates also as this can have a considerable impact on precious metals prices when buying and selling in New Zealand. Gold typically does the opposite of the stock market as investors have historically parked their money in this precious metal during times of economic and political uncertainty. Yet there is no guarantee gold will go in the opposite direction of stocks. It is certainly possible the two will begin to rise and fall in unison at some point in the future. 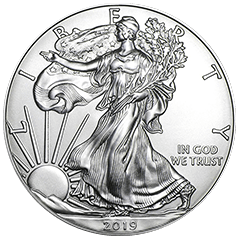 Anyone claiming to know what precious metals prices will do in the future needs to be treated with caution as no one knows what the future holds for gold and silver prices. Market sentiment, world events, volatility and market cycles (fear and greed) also play a part in changing gold prices. Though some conspiracy theories claim the gold market is manipulated, the truth is this market is perfectly legitimate. This is not to say the gold market will not be manipulated at some point in the future. However, the Securities and Exchange Commission and other governing bodies have determined the gold market is fair and legitimate. Am I better off buying from a local gold dealer? There are a couple advantages to buying gold locally as opposed to relying on an overseas dealer. Foreign dealers may have lower premiums, however you need to factor in the added risk of buying from an overseas company, shipping, insurance and the recourse available to you as a consumer in a different country. Buying from a local dealer means you can meet with the people behind the company, conduct your due-diligence, take direct delivery of your gold and have the added assurance afforded to New Zealanders under the Consumer Guarantees Act (CGA) and Fair Trading Act (FTA). At MyGold we have lower overheads than traditional brick-and-mortar shops, allowing us to offer low prices as we do not have to pay for a storefront, cashiers, large offices and other common expenses that just add to the cost of buying gold bullion in New Zealand. Do dealers charge a fixed amount of the spot price? Dealers decide their own prices and some claim to offer fixed markups on some products – each dealer is different and there are a few variables between suppliers. Dealers ultimately determine if the gold item's scarcity, condition, manufacturer and other features justify a markup. 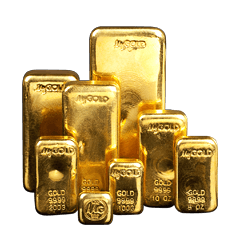 However, some items such as gold bars can be sold by precious metals dealers for a considerable amount of money above the gold spot price. At MyGold we have various price break-points depending on the product, quantities, availability, minting and inventory. Each order is considered unique to a customer and their specific requirements. If I’m a new investor, should I buy certain products or just as many ounces of gold as possible? 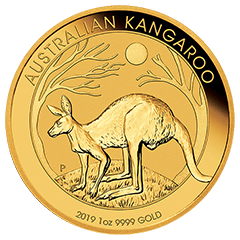 If you are simply trying to collect as much gold and other precious metals as you can, gold bullion coins and gold bars are your best option. 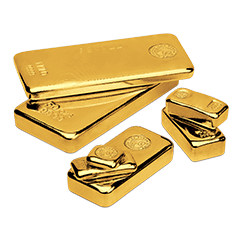 If your strategy is to buy gold at the lowest possible price, gold bars are likely the most cost-efficient means of purchasing gold bullion. Gold bars typically have lower premiums than gold coins as they do not have face value, are not collectible, are easier to manufacture and may not have government mint support. 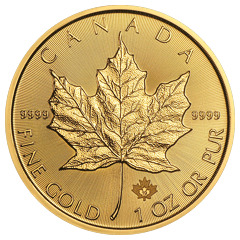 Why are gold bullion products priced higher than gold spot prices? Gold bullion products will always be marked up as it takes time, effort and space to acquire and sell gold. 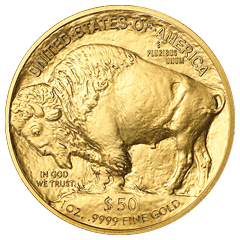 These overhead costs are built into the gold bullion sale price. As a result, the price of gold bullion is always greater than the gold spot price. Furthermore, some gold items are bought and sold based on their desirability as collectibles. An array of additional factors also play a part in the price of gold bullion. 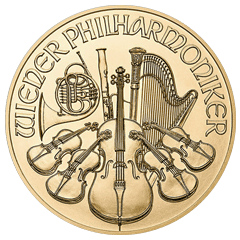 Everything from the gold's condition to the type minted, the number minted and the manner in which they were minted matters a great deal. If the gold price is always changing, how do I lock in a price? Precious metals dealers have a number of procedures in place to lock in an exact price on gold products in accordance with existing price levels. Such procedures differ quite dramatically from one precious metals dealer to the next. To lock prices with MyGold, you will be required to complete full payment within the time specified in your purchase order. There is a brief window of time to lock rates as gold prices and foreign exchange rates are constantly moving. This window can close in as little as 5-10 minutes as the price of gold is quite dynamic. 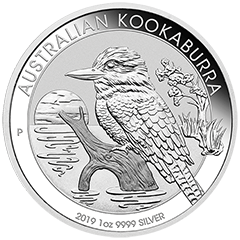 Will I pay GST when I buy physical gold? 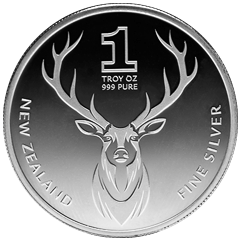 Those who purchase fine gold and pure silver bullion in New Zealand from MyGold will pay ZERO GST. 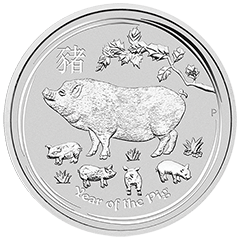 What does the face value of a coin mean? A coin's face value means it is considered to be legal tender respected throughout that particular country. Gold coins can be used to buy items similar to cash. However, gold coins are rarely used to buy anything. Rather, investors keep their gold for its beauty, collectability and potential increase in value as opposed to its face value. Gold/silver ratios are the price relationship between these precious metals. 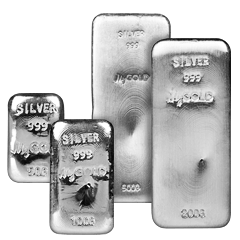 Certain investors study the history of gold/silver ratios to determine if the existing ratio indicates silver or gold are overpriced or underpriced in accordance with one another. 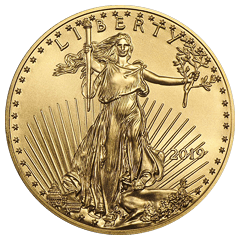 How many grams in a troy ounce of gold? Gold is typically measured by troy ounces. 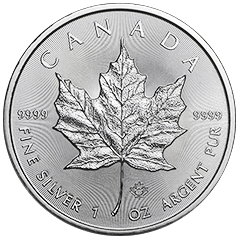 A single troy ounce equates to 31.103 grams. 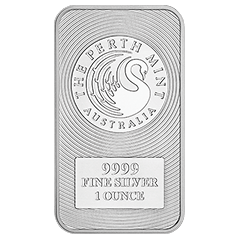 How many troy ounces in a kilogram of gold? A single kilogram of gold has 32.151 troy ounces of gold. Physical gold is available through MyGold – please contact the friendly team today to discuss your investment requirements. 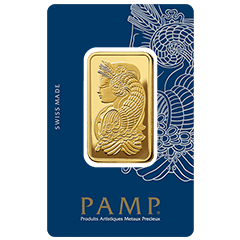 Gold bullion is sold in the form of bars, rounds and coins. 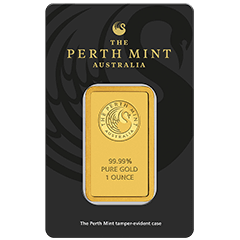 Gold coins and gold minted bars are unique compared to the other types of gold bullion as they are typically backed by government mints and have a face value based on the country where they originated. Where do I store my gold and silver? The answer to this question depends on the type of gold and silver you purchase. As noted above, some precious metals investments are tangible while others are intangible. Most people have a safe, vault or another secure space to store their gold, silver and other precious metals. Please click here to read more about ‘How to Store Gold & Silver Bullion’.